Santa Barbara Tea Party & Culpepper Society – Santa Barbara Tea Party & Culpepper Society is a nonpartisan group of citizens dedicated to defending the principles of the Founding Fathers, especially the Bill of Rights, economic opportunity and the American Dream. To see the official announcement click here. This is not an endorsement by the SBTP and is presented for your information only. There is something for everyone at a Friends of NRA banquet. From the moment you walk in, the atmosphere is brimming with excitement. Whether you’re keeping an eye on that unique item in the silent auction, trying your luck at the game tables, or just dining on some delicious food, you’ll be sure to have a good time. It’s a family-friendly event chock-full of everything from exclusive, limited edition merchandise, firearms, knives, art, jewelry, and more. Not to mention all the great people you’ll meet in the process! Amongst the fun and fellowship, Friends of NRA banquets boil down to one goal – fund-raising for the future of the shooting sports. Since its inception in 1992, Friends of NRA has held over 15,000 events, reached over 2.8 million attendees and raised over $200 million for The NRA Foundation, a 501(c)(3) charitable organization. Each year, The NRA Foundation allocates half of all net proceeds to fund projects within the state in which the money was raised and uses the other half to fund similar projects with a national scope. Cost: $50 or see special packages here. Reservations: Click here, fill out form. Contact information on announcement. This is a extremely important topic as the Jewish vote can have a significant impact on election results. Obama has been a foe of Israel since his first inauguration. See the event announcement here. The SBRA is featuring Maria Segal, a holocaust survivor as their guest speaker. Maria was a child when she survived in the Warsaw Ghetto. She was born in Okuniew, Poland, a small town near Warsaw. Maria has three children, six grandchildren, and now lives in Santa Barbara, CA. She volunteers at the Santa Barbara Jewish Federation as a docent for the Portraits of Survival Exhibit and is one of the thirty-seven profiles of Santa Barbara Holocaust survivors in the permanent exhibit. She speaks about her experiences during and after the Holocaust to groups of adults and children, ranging from high school students to law enforcement agencies. Please note the announcement for this event here. We are again starting a new political season. The unrelenting attacks on our freedom, on our economics, on our leadership in the world continue. Despite the frustrations that we have experienced from some of our unreliable and dishonest representatives in Washington, we cannot afford to let our guard down. This presidential run will make or break this country. If we don’t elect someone who will obey the constitution, I hate to think where that will lead. While little Santa Barbara County will not be the make-or-break factor, there are small things you and I can do to help. Here are three upcoming events that will educate and encourage you and one will help defend you. If you cannot come early, plan to come at 1:30 anyway. Freedom of speech and the freedom of the press has been enshrined in our Constitution from the beginning. 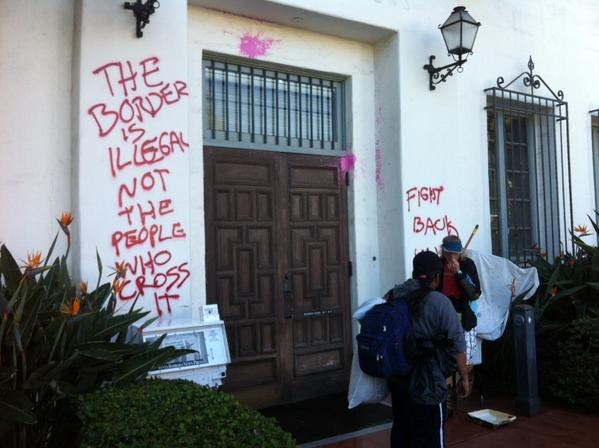 There are forces among us, who I shall call “anarchists,” who spit on the First Amendment, who think of nothing better to do than deface private property and call for the abandonment of our sovreignity. 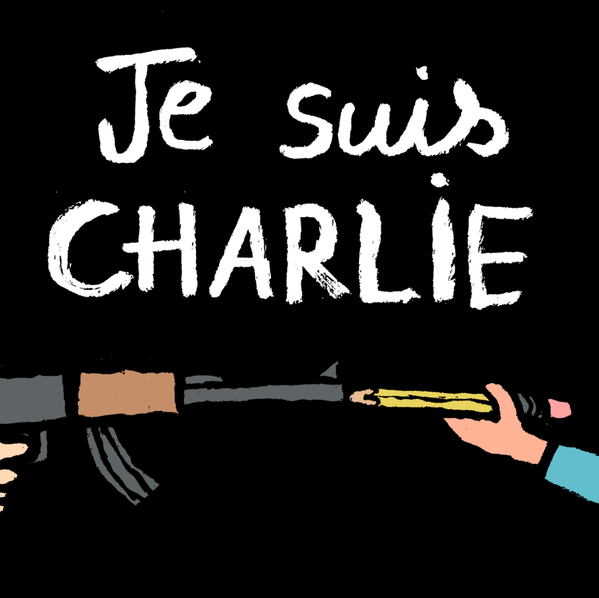 Have we learned nothing from Charlie Hebdo? Join us for a rally for free speech, for support of the Santa Barbara News Press, for support of the Bill of Rights, and against those forces of political correctness that cannot seem to call a spade a spade. Illegal means illegal. Crossing our border without legal entry is a crime. Bring your signs – bring your friends! We need to show the dingbats who defaced the News Press building and those who support sovreign suicide that we are not going to stand by and let then destroy our country. See you there! And wild and sweet the words repeat. I hope that all of you will find a day of peace and joy and respite from all of the cares and trials that we face. Today is Christmas! Today we celebrate the birth of Jesus Christ, Son of God, our Savior. Others of us have already celebrated the Festival of Lights (Hanukkah.) As our society moves farther and farther away from the mores of our Christian heritage, may this day bring a reminder of that foundation on which we were built. 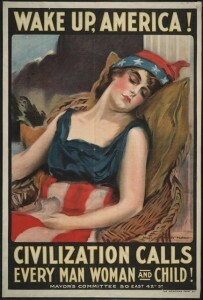 As we endure and fight the radical dictates of a president who disdains the intelligence of the American people, please, let us pause at this time to remember our heritage, our bounty, our opportunity to live free, and never forget that these benefits are “endowed by our Creator,” not our government. Here is President Ronald Reagan’s Thanksgiving message given in 1985. Be encouraged, be strong, and be thankful to God for the blessings He has provided. Illegal Immigration via Executive Fiat? What Can We Do? 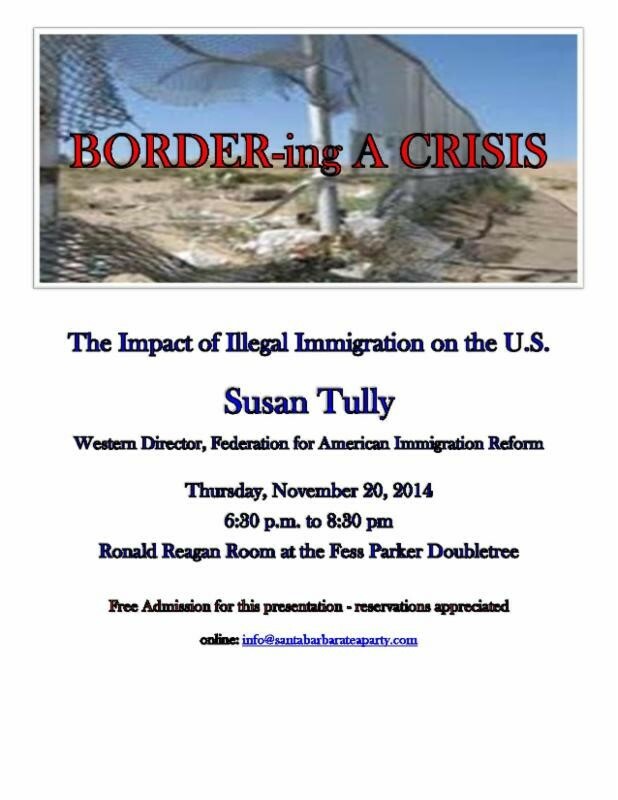 Susan Tully, National Field Director for the Federation for American Immigration Reform (FAIR) will be joining us for a critically important evening on the out-of-control immigration problem at our borders and the impact it is having on our local communities. This is the perfect opportunity to get informed on the latest developments on this crisis. Don’t miss this! We cannot be complacent! What: BORDER-ing on a Crisis – The Impact of Illegal Immigration in the U.S.